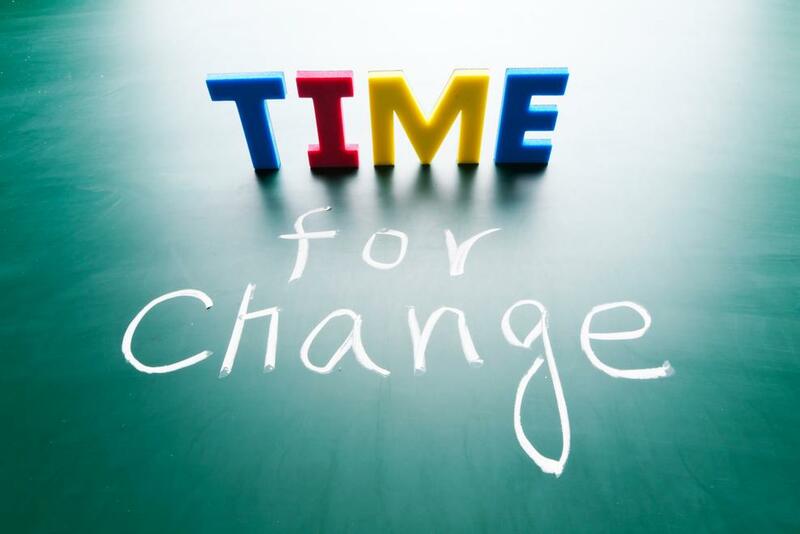 Change can affect all aspects of the operation and functioning of the organisation such as policies, procedures, rules and role through the individual group, organisation, society, national or international level as a result of significantly improving the overall performance in the organisation and competitive standing of others. Therefore, it is necessary for leader or manager in the organisation to understand the important of change and take the right action in the change process through the organisation. 1) Parochial Self-Interest – Different point of views from parochial peoples are often biased by their perception of particular situation. 2) Habit – Some peoples prefer comfort and security of unchanged. 3) Misunderstanding – Some peoples have communication problems with inadequate information. 4) Low Tolerance of Change – Some peoples are not secured in change. 5) Different Assessment of the Situation – Some peoples disagree over the need for change and the advantages and disadvantages of change. 6) Economic Implications – Change may effect to the payment or other rewards to the employees. So, they interested in maintaining the status quo. 7) Fear of the Unknown – Some confront people tent to generate fear, anxiety and uncertainty of change. 1) Always anticipate some push back – When manager plans to change, he or she should be ready for the natural reaction that all humans have to change. 2) Create Opportunities to vent – Manager should understand why the employees want to remain the status quo. Talking, site visits and survey will be useful technique for manager to response and ask what the employees need. 3) Listen – Manager has to listened both legitimate and non-legitimate opinions from the employees to help them solve their problems. 4) Look for trends – If some peoples or divisions do accept in change, manager may want to focus on those groups of peoples to open-mind the real reason of unchanged. 5) Be specific – Manager has to create direction ways to help peoples through the very specific concerns they have. 6) Be honest – Manager needs to be honest with their subordinates since it can build the trustfulness through the employees in organisation. 7) Bend but don’t break – Manager should provide the creative ways to ease the employees into the change such as providing the substitute of old way with the new way. 8) Silence is not golden – Manager should not believe that everyone is alright with the change because they are not vocally complaining. So, manager must encourage their employees to give some feedbacks of change. JC Penney case study is the good example in effective organizational change management. In the beginning period, JC Penney’s culture organisation is very formal and rigid which is caused to reduce the overall performance through the organisation as a result of the problem in financial and shared prices, and closing the creativity and innovation of ideas from low-level employees. But after Ullman joined the company as chairman and CEO in 2004, he tried to change and launch the cultural in organisation by promoting such as Symbolic Changes, Retail Academy and Winning Together Principle. He listened to JCP’s employees and initiated the changes based on employee feedbacks which create their job satisfaction and turn to be greater overall performance and greater overall profitability in the consequence (ICMR, 2012). In conclusion, organizational change will be effective depends on the management of manager or leader in the organisation. So, he or she should have positive attitudes towards the resistance to change and ready to adapt the change’s resistance for the best solution. Also manager needs to respond the answer to their subordinate during the change process such as personal issues or problems from some group of peoples. Finally, manager has to encourage their subordinate in sharing opinions and ideas to understand what they need to reduce number of resistance in organisation. Mullins L. (2010) Management & Organisational behaviour, Pearson Education Limited, 9th Edition. I like this blog, it’s really easy to follow and you explain it very clearly. In real life everything is changing all the time. Change cause by individual or by environment always bring about good and bad results. A good leader must be prepared and understand that this situation happen everyday. Also, he or she have to be ready to act accordingly by using all the techniques you suggest above to handle the changing criteria for best efficiency. Thank you so much for your support. I hope that this blog may useful to guide some techniques for changing in the organisation. I agree with you that I only mention the positive impact of organisational changing. Thank you for your feedback. Hi, Mr. Napoom, I totally agree that enterprises may necessary to make organisational change as it could overcome many benefits to the company. However, one problem that leaders of divisions may faced is how to convince their subordinates to follow up with this changing as it could not be upon individual changing; otherwise, it could depend on cooperative from mutual changing for mutual benefits. Your comments as well as the given theory could support each other to easier understand how leaders handle with those problems. Awesome!